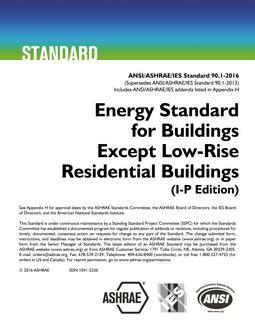 This standard sets forth design requirements for the efficient use of energy in new buildings intended for human occupancy. The requirements apply to the building envelope, distribution of energy, systems and equipment for auxiliaries, heating, ventilating, air-conditioning, service water heating, lighting, and energy managing. 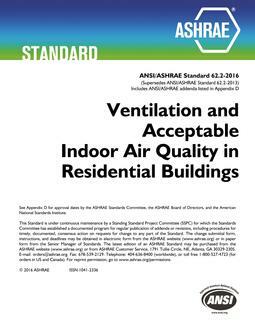 This standard applies to all new buildings or portions of buildings that provide facilities or shelter for human occupancy and use energy primarily to provide human comfort, except single- and multi-family residential buildings of three or fewer stories above grade. The complete standard, including related software, can be purchased and promptly downloaded in the form of a self extracting zip file. To install and use the associated software you will need a DOS-compatible computer and at least 8 MB of free hard disk space.This standard is under continuous maintenance, which is a process ASHRAE uses to keep standards current through the issuance of addenda, or revisions. There are no addenda for Standard 90.1-1989.